Somali Refugee Sentenced for Conspiring to Help Islamic Terror Group Al Shabab From Inside the U.S.
Ahmed Nasir Taalil Mohamud, a refugee from Somalia, was sentenced this week by U.S. District Court Judge Jeffery Miller for conspiring to provide material support to the terror group al Shabab. Mohamud was working as a cab driver in Anaheim, California at the time of his arrest last year and played the role of money collector for the terror group in Orange County. Mohamud worked with three other men to provide support to the terror group, including Imam Mohamed Mohamed Mohamud of a popular mosque among Somali immigrants in Southern California. Those three men were sentenced to prison late last year. 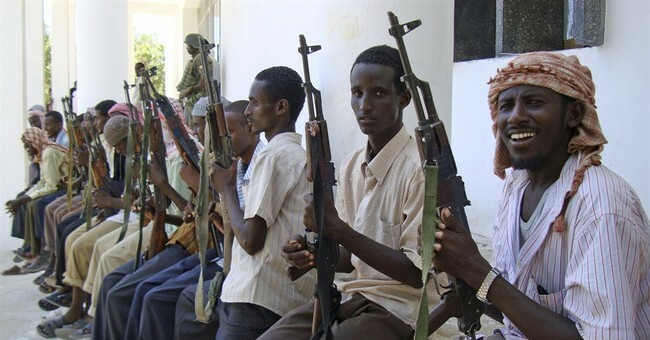 Al Shabab is an Islamic terror group based in Somalia. The group is responsible for the brutal Kenya Westgate mall attack carried out in October 2013. During that attack, which last for 80 hours, more than 70 people were killed, raped, tortured, beheaded and dismembered. Grenades were thrown into crowded areas, explosives were set up in booby traps and al Shabab militants ran through the mall killing as many people as they could. Several reports have verified that such atrocities occurred. The group regularly carries out suicide bombings, assassinations and uses improvised explosive devices to take out vehicles.